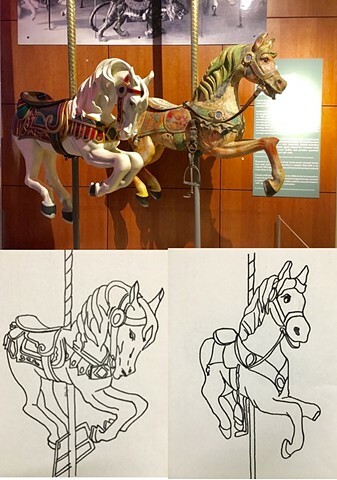 Two original drawings of Noel and Jack, antique carousel horses exhibited at Spokane's Northwest Museum of Arts and Culture. Jack is a unique treasure dating back to 1880 and to Charles Looff's first Coney Island carousel. Noel is a beautifully restored middle horse from Spokane's 1909 Looff machine.